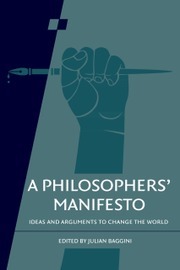 This series, on key philosophical topics, arises from the Royal Institute of Philosophy annual conference and lecture series. It is available to institutional subscribers as supplements to the leading journal Philosophy. The Philosophy homepage provides further subscription information. Individual titles may also be purchased as books. Volumes in the series are edited collections with contributions from some of the world's leading philosophers. Topics covered include naturalised philosophy of mind; aesthetics, ethics and value; and philosophy and public affairs. Two volumes are published each year.